It's what you feel, but can't articulate out loud. And don't walk into danger. 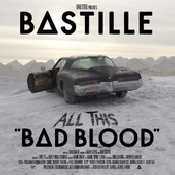 - Álbum "All This Bad Blood" del año (2013)	. - What Would You Do? 07 What Would You Do?